Magu is a female immortal in Chinese mythology and is depicted here as a Tang figure, though she is painted in a sweeping calligraphic style rather than in the fine conventions of Tang figure painting. 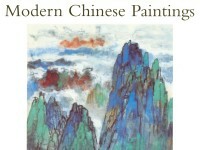 Xu Lele studied at Nanjing Academy of Painting and her style derives from the Shanghai School painters Ren Xiong (1820-57) and Ren Yi (1840-95). Magu is a female immortal related to longevity in Chinese mythology. It is said that she looks young and pretty even though she has seen the sea become land three times, a concept which signals the passage of time. 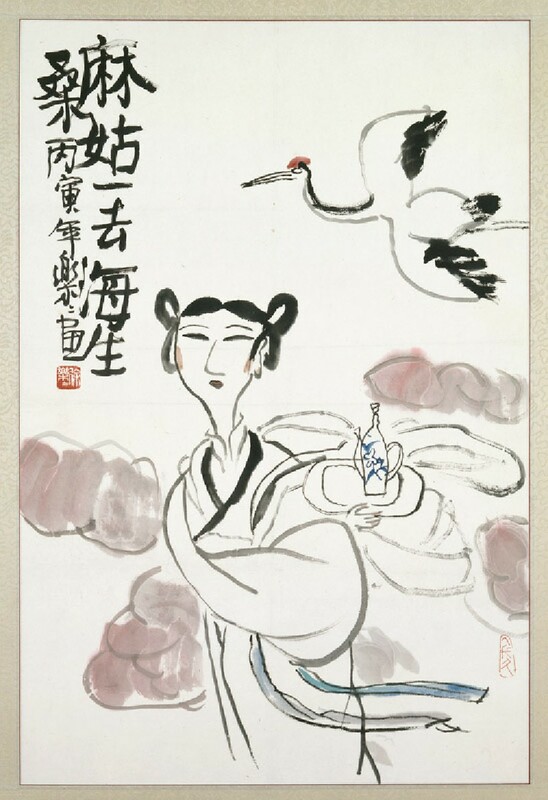 Here she is depicted as a Tang dynasty figure, although she is painted in a sweeping calligraphic style rather than in the fine conventions of Tang figure painting.